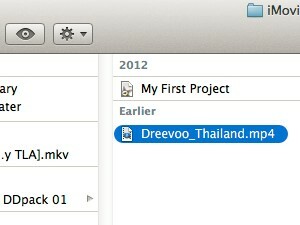 ... when you select a certain size, see the file size changing (see picture). Bigger the size of the movie, better will the quality be but at the same time, it will take more space on your hard drive, and will take longer if you want to upload it some where or even send it via email to someone. 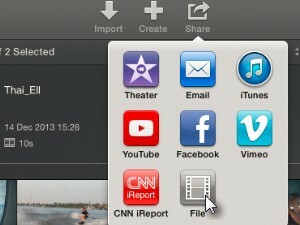 Click the more option down arrow button (see picture). 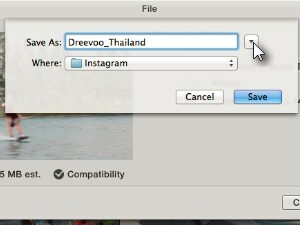 Choose the folder on your mac, where you want you movie saved, and click Save. 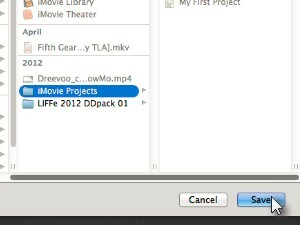 Wait for the process to finish and when done you should find your movie file in the folder you chose in the previous step.